The Dark Night of the Soul was like the story of my life. I am an 85 year old Lightworker who is exhausted by my world’s refusal to wake up. I still keep shining my Light the best that I can, but I can’t hold out much longer. 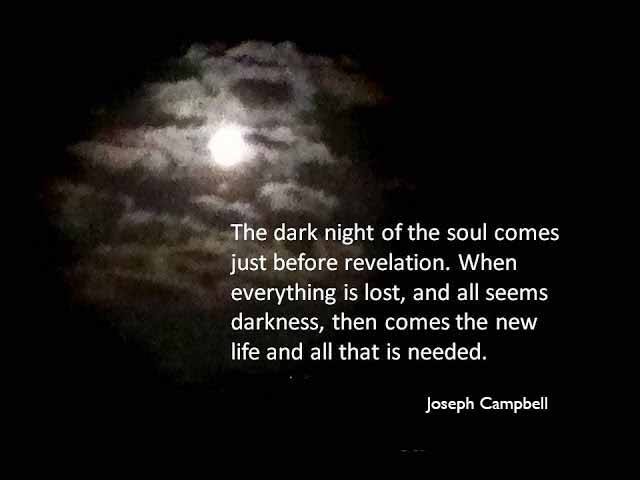 May I repost the Joseph Campbell quote on my own page?